These are achieved by completing all actions that the game asks you to do while you level-up, win games, add friends to the game or meet the game objectives. 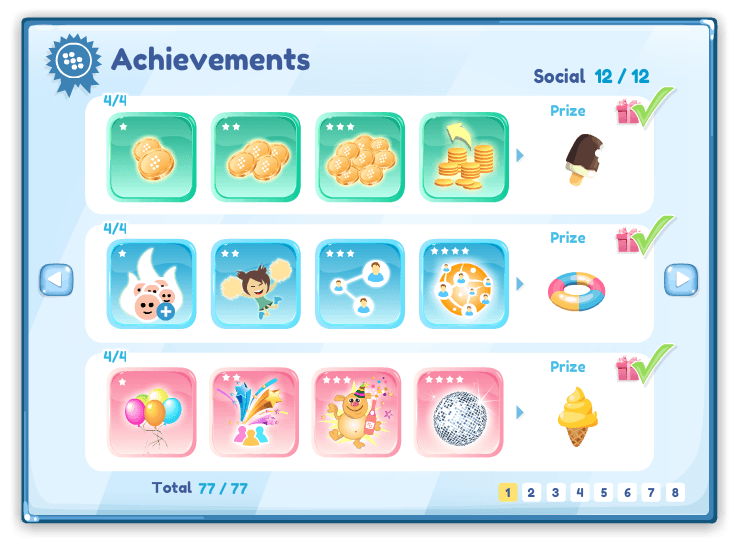 Aside from demonstrating how crack you are getting them you will gain with each of them experience points that will help you increase positions in the weekly ranking and give you coins to play more games or get store items. Achieve all of them and be the best player!